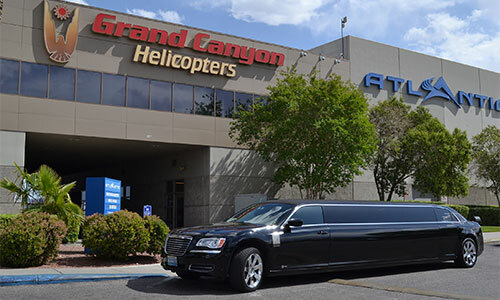 Opened in 1997, our Las Vegas McCarran facility shares the wonder of Grand Canyon with hundreds of tour passengers daily. 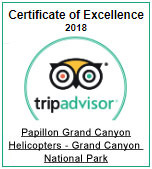 Located just one block off the fabulous Las Vegas Strip, it serves as a gateway for our Grand Canyon passengers and tours over the Strip. Hotel transfers by limousine are included with most tours. A small gift shop is also available and carries the best southwestern themed merchandise. 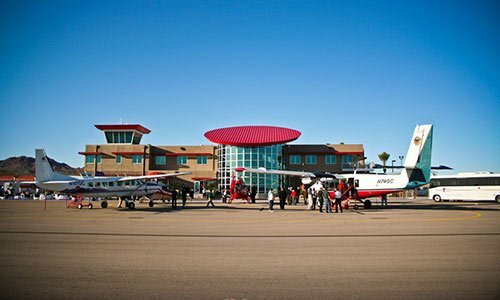 Our Boulder City terminal is located on the Boulder City Municipal Airport in historic Boulder City, Nevada. 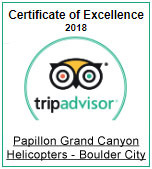 Purchased in 2004, it serves as a launching point for many of our most popular tours including the "Grand Celebration", the crowning jewel of our wide selection of helicopter tours. 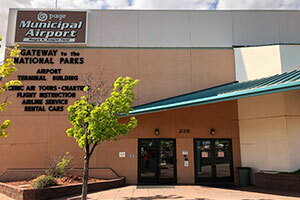 This spacious facility also serves as the air departure point for all airline guests visiting the Grand Canyon's South Rim or West Rim. 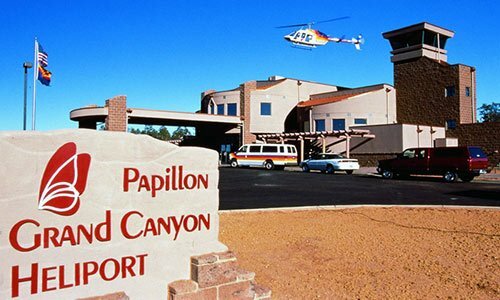 Located at the Grand Canyon National Park Airport (GCN), Papillon's South Rim passenger facility is a state of the art masterpiece in heliport design. Built with guest service in mind, this facility boasts a large gift shop, espresso cart, 30 minute photo processing, and a large plate glass staging area offering nearly 180 degree view of the arriving and departing aircraft. The facility can easily accommodate over 1000 passengers a day! 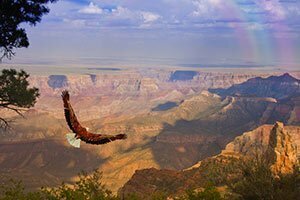 Perched on the remote West Rim of the Grand Canyon, Papillon's Grand Canyon West base serves a variety of purposes. 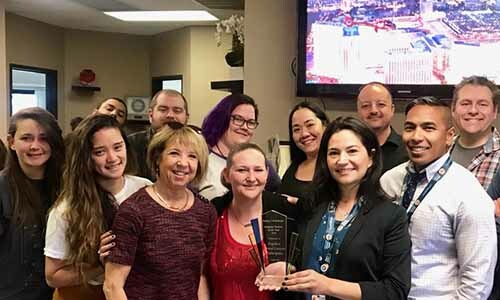 Originally a fuel stop for flights from Las Vegas, this base has been expanded in recent years to accommodate the tremendous increase in visitor popularity. 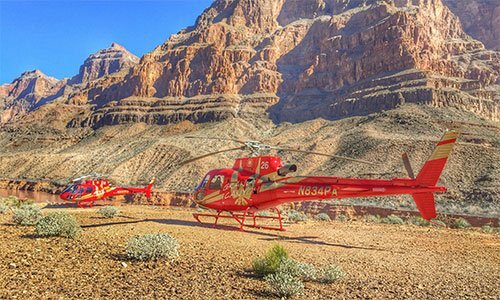 With daily airplane service from Las Vegas (and soon Grand Canyon, AZ) Grand Canyon West is an extremely affordable way to see the canyon! 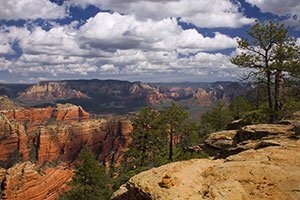 Papillon offers several carefully crafted packages to the West Rim. 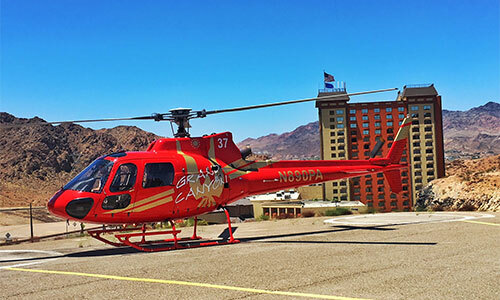 Located next to the Hoover Dam Lodge, this is the launch point for all our incredible Hoover Dam helicopter tours! Only about 3.5 miles (5.4 km) from the dam itself, this location is right in the center of the majestic Mojave Desert and just minutes from the raging Colorado River. 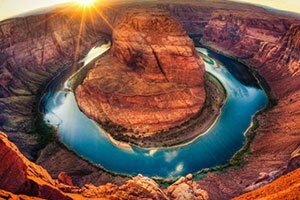 Nestled in the desert city of Page, Arizona, this terminal is the hub of our Horseshoe Bend and Rainbow Bridge tours as well as our Tower Butte helicopter landing tours! 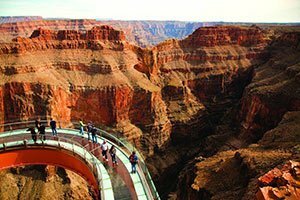 Additionally, this location is just minutes away from the magnificent walls of Antelope Canyon. 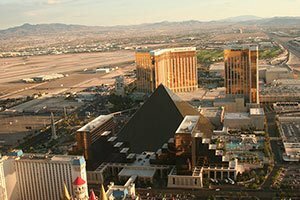 Our Las Vegas Corporate Sales & Marketing office provides business service and support to groups and travel agencies worldwide. Additionally, reservations can be arranged for walk-in guests.